On Sunday January 14, 2018, the usually peaceful town of St Bathans will burst into life. 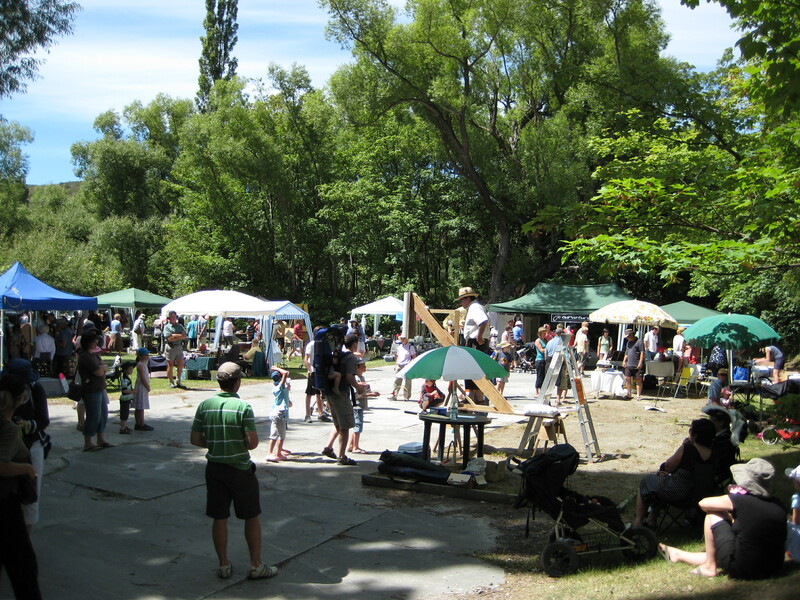 It's the annual St Bathans Village Fete, which is run by the Cambrian St Bathans Branch of Rural Women New Zealand. Check it out at `St Bathans Village Fete' on Facebook. This is a family inspired day out with something for everyone. There is a wide range of market and food stalls along the main street and on the Village Green, as well as live music to entertain you throughout the day and fun Activity stalls for the kids. A regular annual feature is the Ghost Hunt, where children collect a map of the town from the activity stalls run by Cambrian St Bathans RWNZ, and mark where the `Ghosts' and `Gold Nuggets' are positioned around the town. Correct entries go into a prize draw at the end of the day. There will also be a `must see' exhibition in the historic hall on the main street. This year the Poolburn Patchwork Group will be exhibiting their amazing patchwork creations. The iconic Vulcan Hotel is next to the hall on the main street, and the Blue Lake is just a short walk away. Both are well worth a visit. Check out the history at the Vulcan and around the town. Be sure to pack the sunscreen and togs for a swim and some time at the lake. Enjoy a walk around the township, soak up the wonderful history, atmosphere, and amazing vistas that make St Bathans so special.